Christianity focuses on the life and teachings of Jesus Christ, who we believe to be the Son of God. We represent the churches with a Methodist presence sited in the western half of the City of Leeds. If your enquiry is about your faith, organising a wedding or another service, please contact church minister. To enquire the use of the building please contact the local church or the Circuit Office. Formed in Sep 2015, by the coming together of Leeds Headingley & West, Leeds South & Central and Leeds Wesley Circuit, we are a group of 22 churches with a Methodist presence on the western side of the City of Leeds. From Cookridge in the north to Hunslet in the south, we stretch from Hyde Park and Headingley close to the heart of Leeds to Farsley and Pudsey on the border with Bradford. 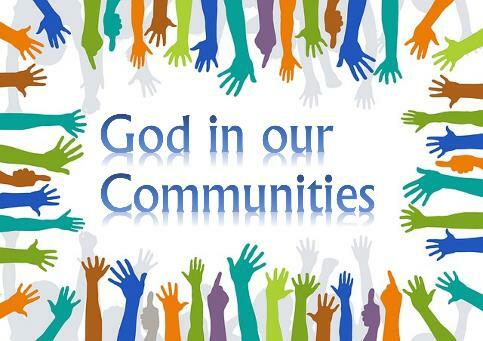 There are Christian communities striving to live and share God’s Word across many localities. Find a church near you in the Our Churches page. The Circuit helps the work of local churches through the coordination of shared resources. It prepares the preaching plan for worship. It appoints, houses and supports both Presbyters and Deacons and employs lay staff assist in specific areas of work. Each Presbyter has pastoral charge of a group of churches and you can see the current allocations on the Our People page. Here, you can also see our lay staff and our team of volunteer stewards who work hard to ensure the smooth running of the Circuit. God is working among us to create Good News. Come and be part of God’s work in our City. View the new Circuit plan here to see who, when and where worship is to be held across our area. Is "Citizens" the new ecumenism?